$49.95 In stock - low quantity. Order in the next 17 hours, 27 minutes and it will go out today! In stock - low quantity. Order in the next 17 hours, 27 minutes and it will go out today! If you need a multi-phase eye-popping routine for your next show, look no further than Miracle Linking Ropes! The performer knots three pieces of rope into three separate loops. But then they magically link together and then unlink again. And if that wasn't enough, the performer then transforms the three loops into one big loop, removing two of the knots by blowing! The third knot is undone to show one large piece of rope! Your spectators won't know what hit them! 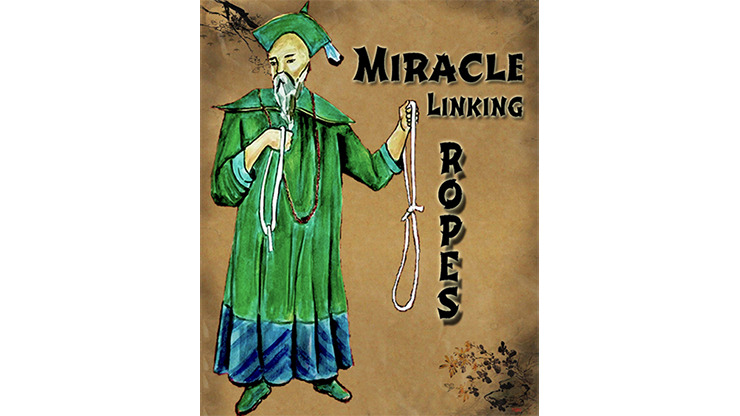 Get your eye-popping rope miracle today! You get 100% cotton red rope and written instructions.